Pangea is a supercontinent that existed from 335 to 175 million years ago, it was the most recent supercontinent as tectonic plates reorganized to form one giant land mass. When you picture the Earth in your mind you might picture the Earth as a globe with the 7 continents surrounded by lots of pretty blue water. Well, our Earth hasn’t always looked like that, even after it went through its tumultuous forming and birth. Check out this guide to learn all about the supercontinent, Pangea. Pangea was the continent on Earth that was comprised of all the continents that we know today. Pangea, also called Pangaea, was a massive supercontinent that formed over 335 million years ago (in the Paleozoic era). About 175 million years ago (during the Mesozoic era) Pangea began to split apart and the continents have moved to where they are now. The theory of Pangea was coined in 1912 by Alfred Wagner in his theory of continental drift. Pangea was surrounded by the superocean Panthalassa. Panthalassa took up between 70 to 75% of Earth’s surface. An interesting fact is that this superocean is also referred to as the “Paleo-Pacific” because it was from Panthalassa that the Pacific Ocean formed. Scientists believe that Panthalassa’s ocean floor has been completely subducted, or almost “eaten” by the Earth, so we can’t study the ocean floor for fossils of the Pangea age like we want to. Pangea is believed to be the most recent supercontinent, but it is possible that there may have been other supercontinents before Pangea. Pangea, however, is the only one that scientists can reproduce and have “proof” of. Like we said above, it is possible Pangea was the most recent supercontinent, but there may have been others before Pangea. There is some basis for proof of these supercontinents below with the exception of Ur, which we do know existed and was the first continent on Earth. It was the fragments of Pannotia that formed Pangea about 335 million years ago. We wanted to point out the locations and the drift that these supercontinents had starting billions of years ago. Colombia was centered just north of the equator where North America is now. After that split apart Rodinia formed we believe a little south of the equator, but scientists aren’t positive it’s exact location. After Rodinia split Pannotia was centered in the south pole. You can quite literally see the drift that these continents had before creating the first few supercontinents. The theory of continental drift was proposed by Alfred Wegener (a meteorologist) back in 1912. This theory went about to explain the shift in the continents and to explain why fossils of similar animals and plants were found on different continents. 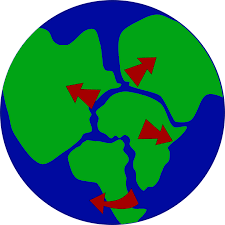 Wegener’s theory of continental drift was actually denounced by fellow scientists because he couldn’t explain a reason as to why the continents shifted. His idea was that the continents shifted because of the centrifugal force of the Earth’s rotation. Even though his theory was denounced scientists did take the idea of the continents shifting seriously, and scientists have all agreed upon the idea of plate tectonics and that Pangea actually existed like Wegener suggested. When you look at the map of the world above you can kind of see how the continents almost fit together. Look at the west side of Africa, then the Eastern part of South America (where Brazile is). Or even where Saudi Arabia is and how it looks like it originally belonged in Africa near Egypt and Sudan. Or Greenland along the top of the map looks like it can fit along Canada’s Northwestern border. It’s almost like those these landmasses can fit together pretty seamlessly, right? Well, that’s what Francis Bacon noted in 1620 when he said that Africa and Europe looked like jigsaw pieces. He believed that that wasn’t just coincidental but had no other ways to prove that those continents were together at one point in time. Nowadays, we have pretty good fossil records to help prove Pangea’s existence. 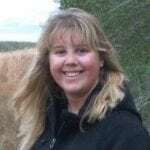 Fossils of similar species of animals and plants have been found on separate continents with zero explanation of how they got there. Did they crawl, swim, or even teleport to different parts of the world? Or were the continents once connected? The Lystrosaurus was a dinosaur that dated back about 250 million years ago. Fossils of this dinosaur have been found in Antarctica, India, and South Africa. The question scientists faced is how the heck this species was spread that far apart. That species could not be suited for the barren cold of Antarctica and be suited for the heat in India. Other fossils of various other plants and animal species have been found to help support the idea of Pangea. You can see in the picture above that the fossil records and where they were found are pretty damning evidence for Pangea. Scientists have also found additional proof of Pangea in geologic records. Similar glacial deposits have been found in rocks on multiple different continents. Those glacial deposits are the exact same age and structure across the continents, which leads researchers to believe that when that glacier covered parts of the Earth the continents were near one another. An extremely damning piece of evidence for Pangea are mountain ranges. Some mountain chains, such as the Appalachian mountains in North America have evidence of being created from plate collisions. Scientists believe that the Appalachian mountains were some of the first collision-built mountain chains. It’s believed that the Appalachians were towards the middle of Pangea, and are also a part of the mountain chains found in Morocco. The Himalaya Mountains are another great piece of evidence of Pangea. When Pangea broke apart, the Indian plate began its drift and collided with the Asian plate, producing the Himalayan mountain range. The Indian plate is still moving to this day and the Himalayas are growing at a rate of about 1 centimeter a year. The tallest peak of the Himalayan mountains is Mount Everest, which stands at a whopping 29,000 feet and is still growing. Like some great relationships, Pangea began to grow apart and broke up about 200 million years ago. It split apart into a few continents, called Laurasia and Gondwana. 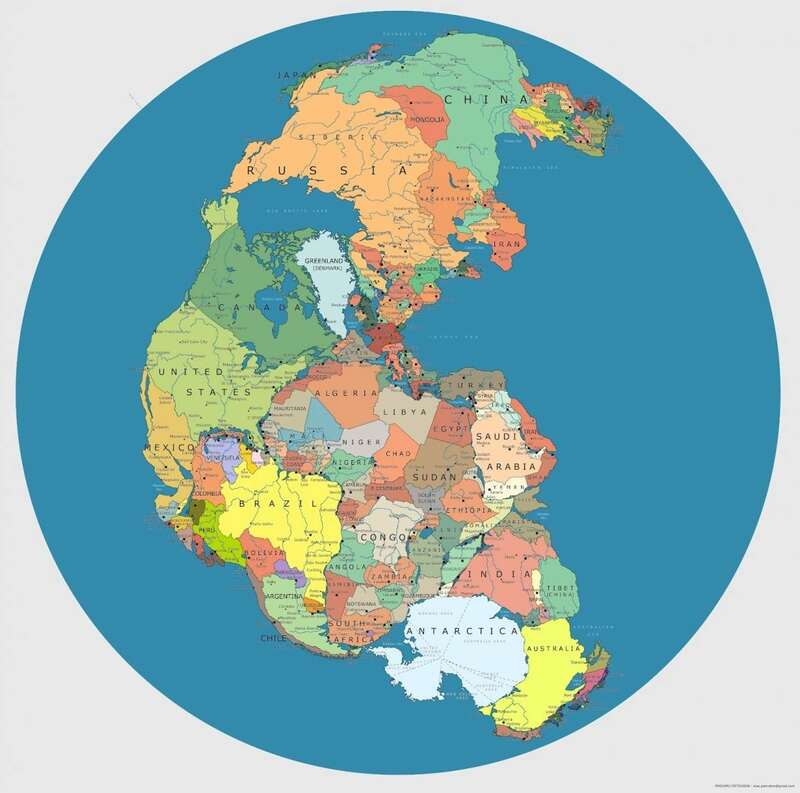 Eventually, Laurasia rotated and split apart to become the continents that we see in the Northern hemisphere now. Gondwana eventually split apart and became the Southern hemisphere that we see today. The saying “history repeats itself” is very applicable for the future of Earth. As we have learned and seen, Earth’s plates are still moving, and are actually moving back together again to form another supercontinent. Amasia is predicted to be the next supercontinent, happening in about 50 million years. This will be the merge of North America and Asia, which has actually already begun. The Pacific Plate is already being subducted by the Eurasian and North American plates (the San Andreas fault is one of the boundaries). If these plates continue to subduct the Pacific Plate, there will be a collision between the two landmasses. Scientists predict that Amasia will center over the North Pole in about 50 million years. Now, this is a theory but it does seem to be accepted by the majority of the scientific community. Pangea Ultima is the next possible supercontinent after Amasia and will occur sometime in 250 million years. This is predicted and is again accepted by the scientific community because of the trend the Earth has already had with the previous supercontinents. Again, the continents will come back together to form another supercontinent, just like before. Regardless of what the future holds, the discovery and understanding of Pangea help us understand our Earth a little better, and might even prepare humanity for what might happen again in the future.